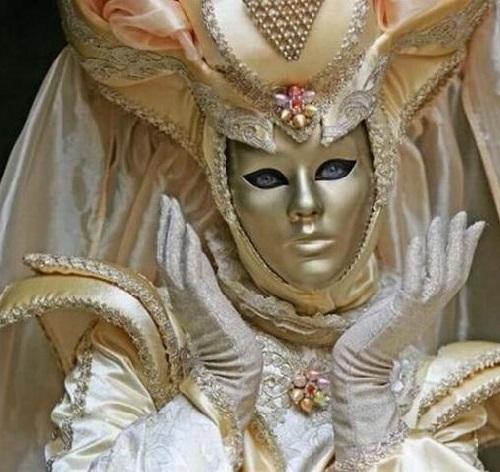 In ancient Greece, Rome, Renaissance Italy, China and Japan, there were theatrical masks, origin from the ancient mysteries. At the carnivals of all peoples, all liked to change places: Heaven and hell, the permitted and forbidden, the servants and the Lord. And alter clothes turned inside out, a mask was the epicenter of all possible changes. 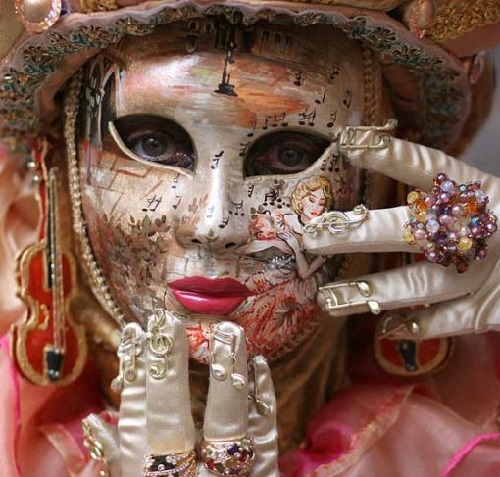 From the XIV century, mask in Europe becomes and part of everyday costume, like gloves, or a tie. 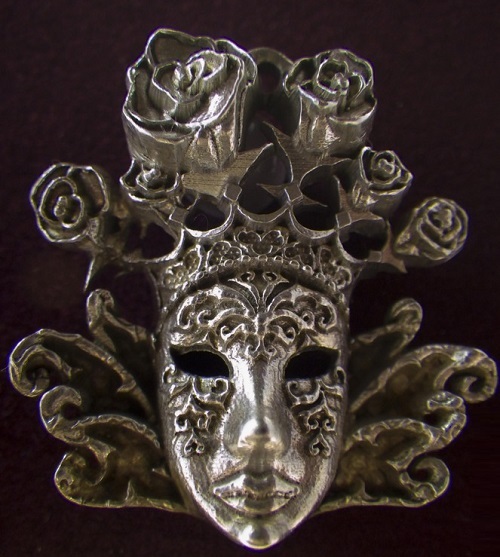 Mask played the role of an object, giving man a sense of freedom, a personality not found in everyday life. 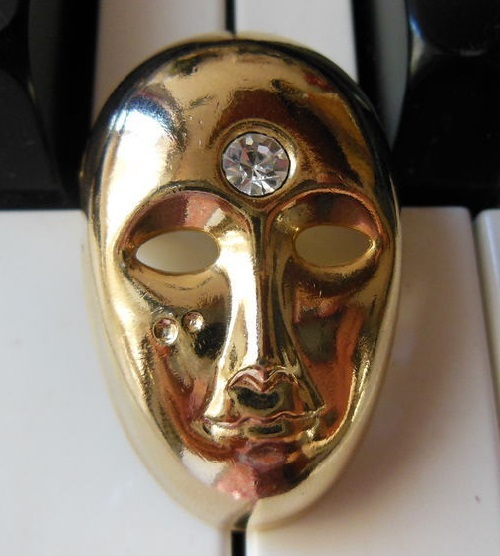 The memory of the once magical essence, mask was given hidden strength, allowing wearer to make something that he would never have dared to do open face. Only a series of European revolutions, bringing to the community spirit of freedom forever robbed from mask its magical power. The man became more open, though genuine freedom was still far away. 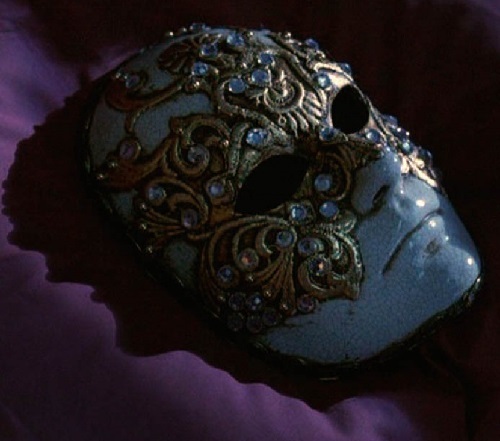 A mask became a kind of toy for those who could not or did not want to be straightforward in the society, not ready to accept the person for what he was. 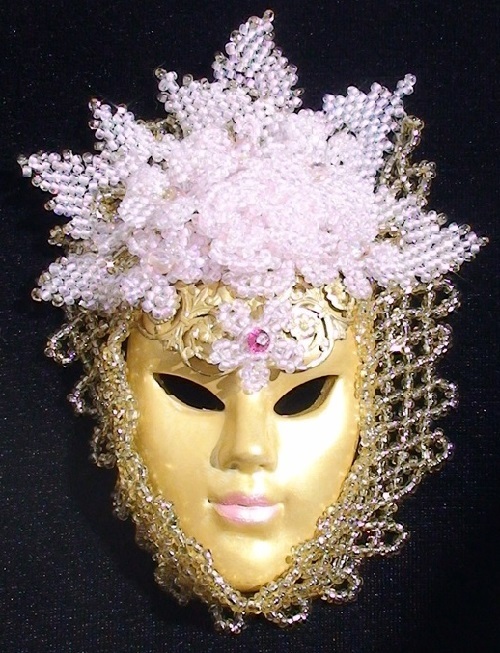 In Europe, the first evidence of the mask associated with the name of Isabella of Bavaria, the wife of French King Charles VI the Mad (1380-1422). 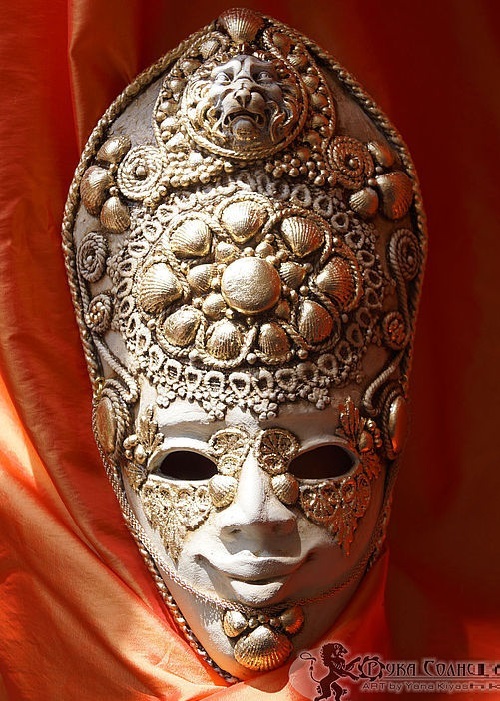 Just how widespread was the fashion for the mask in the XVI century, say numerous edicts during the reign of Francis I, Charles IX, Henry III, seeking to stop wearing it. The reason for punitive measures were the ugly antics, committed incognito under the cover of a mask. 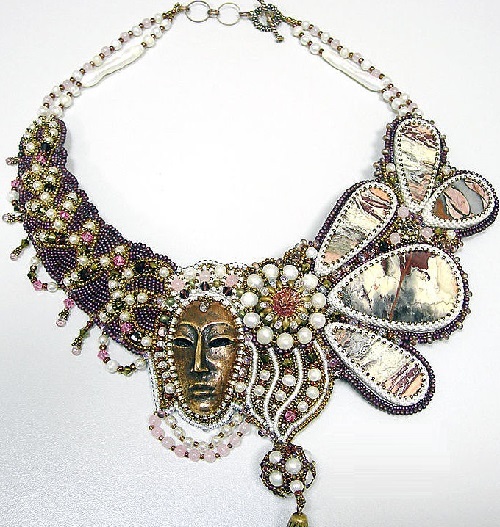 An edict in 1535 forbade even making masks and demanded the confiscation of finished goods from the merchants. 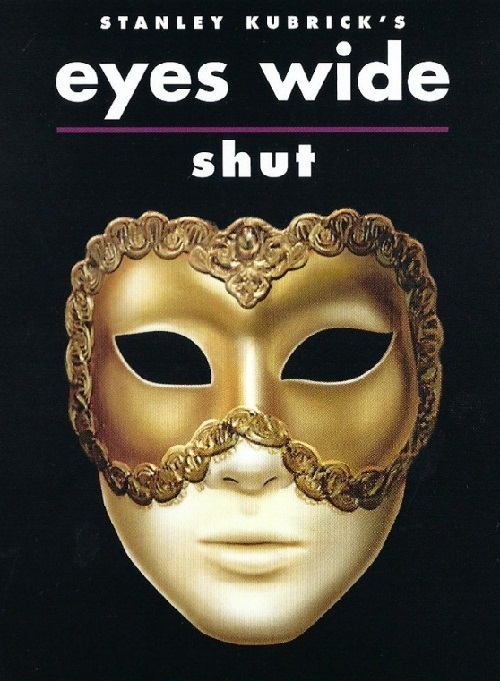 Nevertheless, despite all these austerity, as often happens in history, the mask has become a firmly established and very necessary part of the toilet. 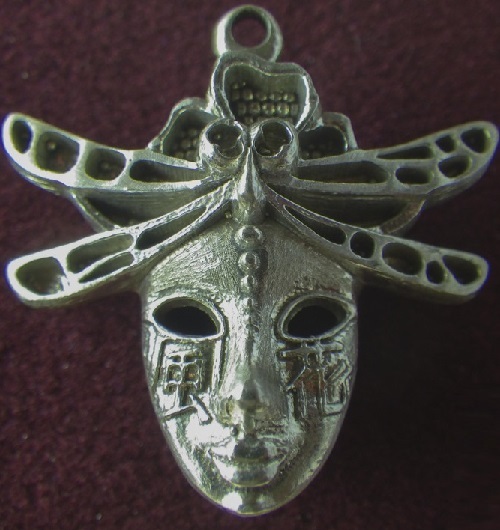 In those days, the mask did not only save from indiscreet looks, but also protected the face from the sun, from bad weather and dirt in the grueling driving on dusty roads, hid the terrible scars left by smallpox raged in the old days. 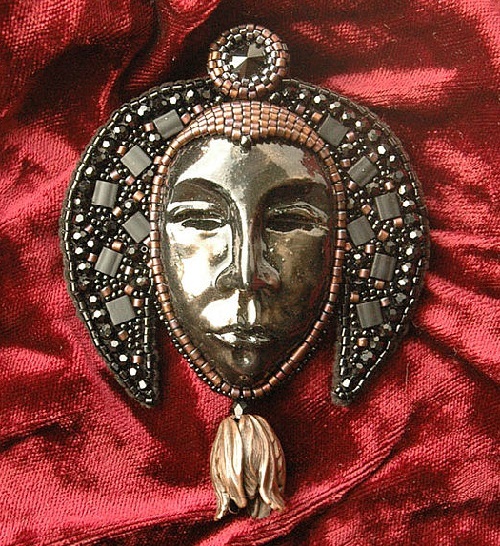 In the XV century wore masks, in imitation of the natural, framed with false hair. 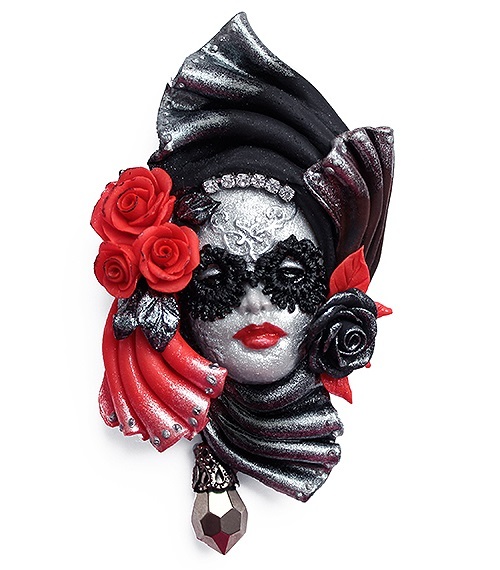 At the beginning of the next century fashion spread on the smooth black or white venetian mask made of leather, velvet or silk, repeating the shape of the face. 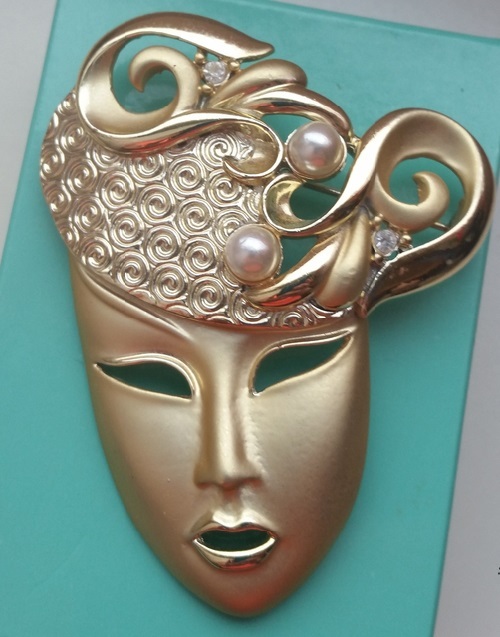 In the XVII century began to make, in addition to oval, half-mask carved in the form of an arc, or the heart. 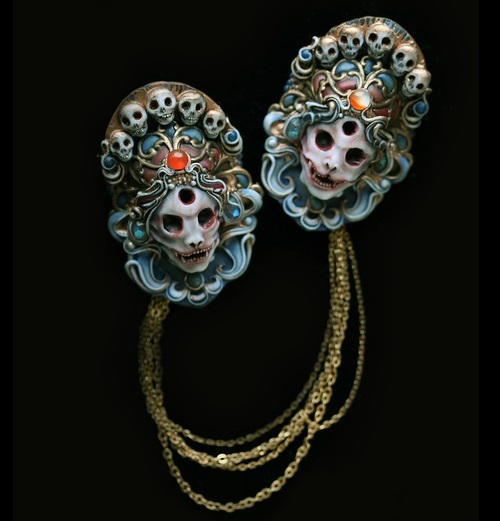 There were also tiny masks, barely covering the nose – a weapon of pure coquetry: velvet, lined inside with silk or leather, with sewn on the bottom edge of fine silk or lace frill. 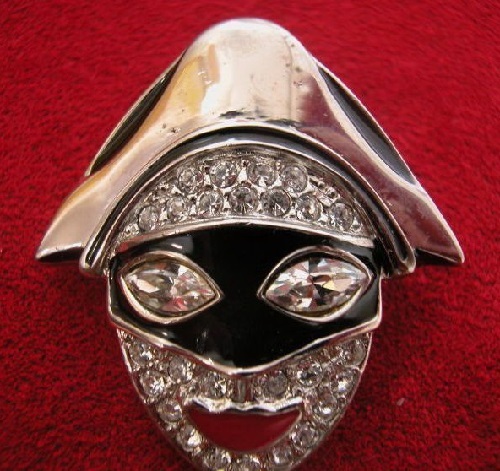 In the XVIII century, oval mask depicting pale and rouged face, complemented the black half mask, painted or put on top of the first, – it created the effect of the mask in the mask. 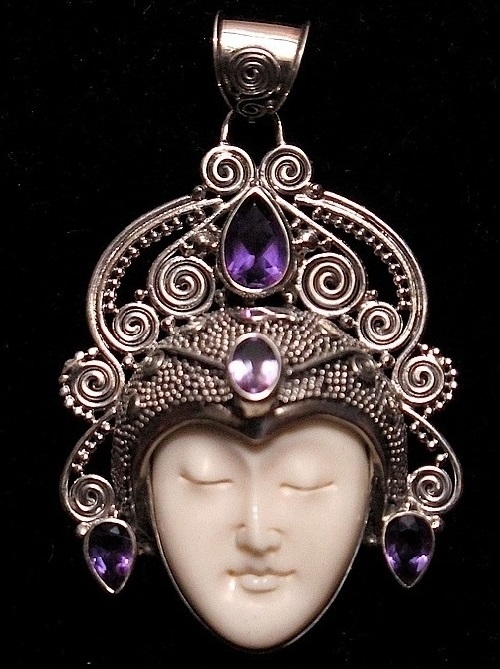 Very often, a similar image with slits for eyes adorned fan. 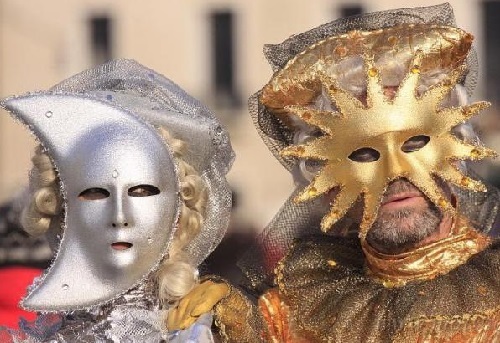 At all ages, the city of eternal carnival with mask apotheosis reminding Europeans of pragmatic sense of sanctuary of life metamorphosis became Venice. 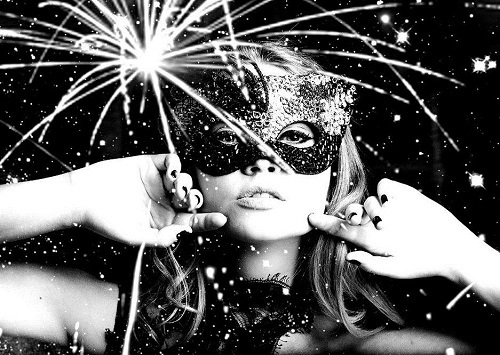 Here everybody hid the face under the mask – during the carnival, and any other holiday, and even on weekdays, except for Lent. 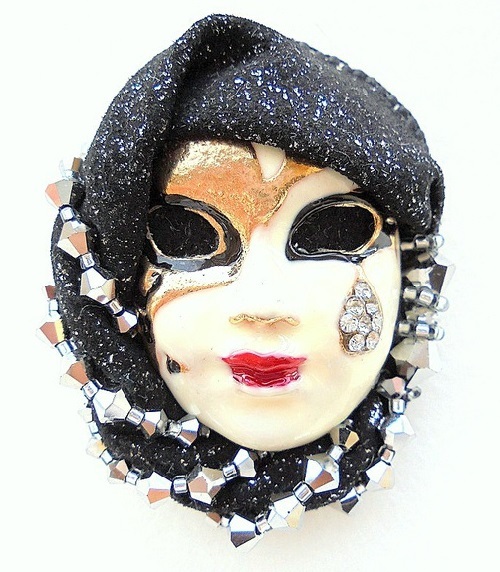 At the carnival citizens especially liked to dress up in folk characters of commedia dell’arte – the funny Harlequin in a black leather mask with warts, the old merchant Pantalone with a hooked nose and goatee. Many rosy shepherds and shepherdesses, oriental characters flashed in a festive crowd. 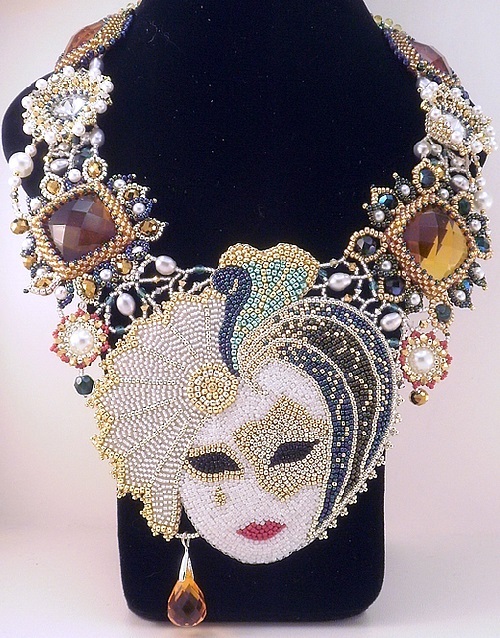 Over time, the Venetian masks have become a genuine work of art, expensive souvenirs, objects of exquisite photographs and entertainment for tourists willingly spanning mask laces at the back. 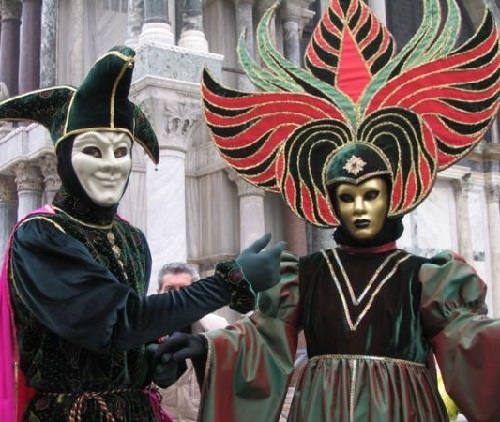 In Venice, to the XVIII century both the ladies and gentlemen wore masks and half-mask under a cocked hat, and if an inexperienced foreigner put headdress mask off, to the laughter of the crowd it fell to the ground. 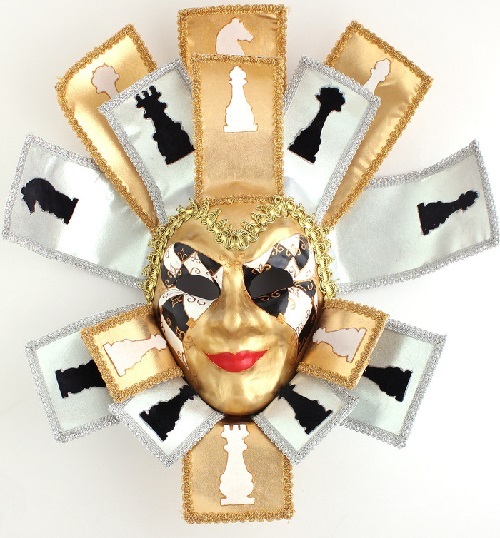 Because the mask was usually hung on a black lace or silk fabric, covering the top of the dominoes, also black. In this attire, men and women features erazed. 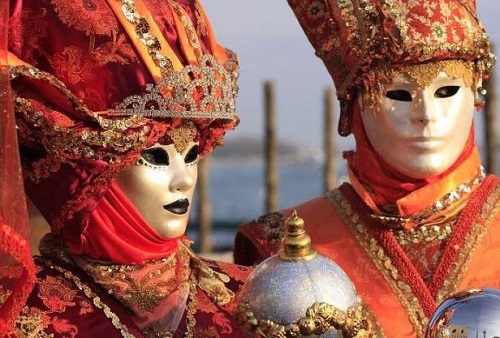 Besides, the abundance of dressed in black contrasted to the multicolored paints of the beautiful city, thus allocating exquisite Venetian aristocrats among travelers and strangers. 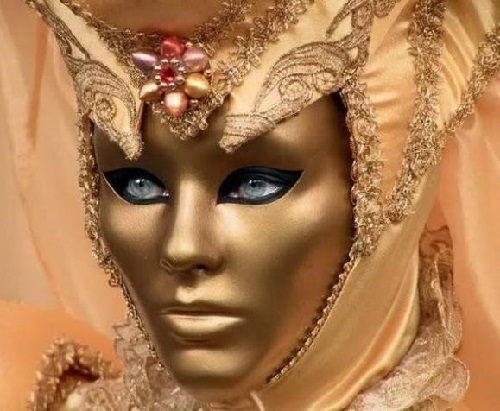 However, fashion for Venetian mask swept the whole of Europe, and in the XVIII century, consistent and ubiquitous wearing it has become commonplace. In France, as witnessed in 1712 magazine “Modern French court,” the ladies enjoyed a special privilege to hide a person any time. 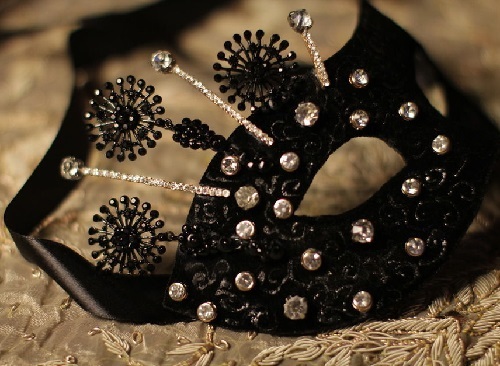 Women in the black velvet, silk, lace masks appeared in the church, at the ball, in the theater “unrecognized by God and their husbands’, even giving birth in disguise, when they wanted to keep the secret of the origin of the child. However, life sometimes turns fun into a tragedy, recalling the dangerous power of the hidden. 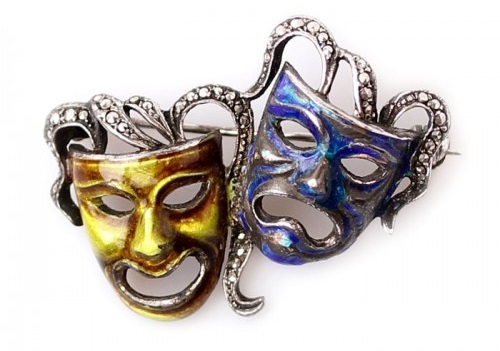 In classical drama of Michael Lermontov “Masquerade” the character was lead to the death because of a fatal similarity in the guise of two grand ladies and their free behavior, a little freer at the masquerade than in usual life. 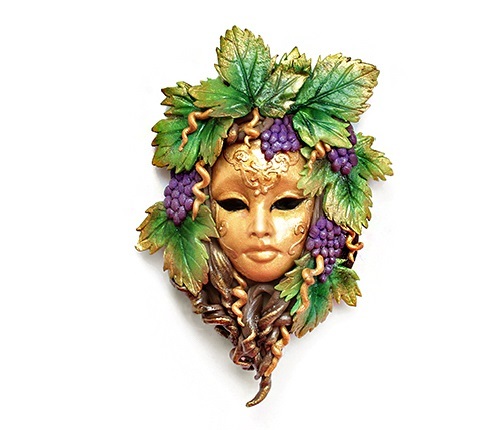 In 1835, France issued a decree regulating the wearing of masks at carnivals and festivals: masked were forbidden to express obscene and abusive speech, to carry weapons, Lager sticks. On the first demand of police officers the man had to remove the mask and follow to the police station for identification. 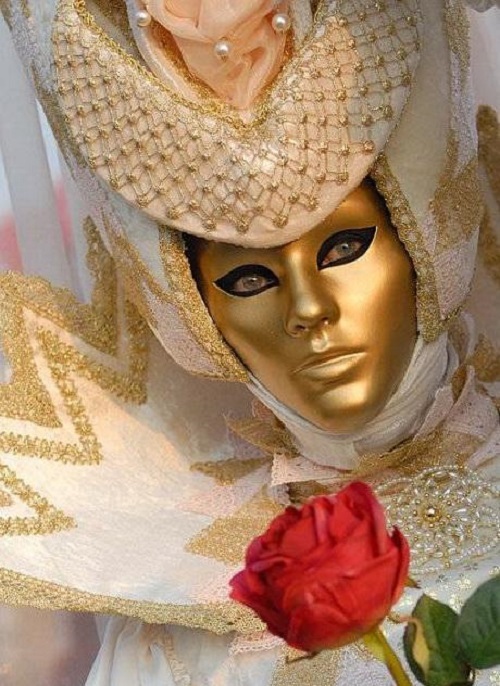 For costume balls and festivities, the most incredible costumes and masks, intriguing behavior – everything was a significant phenomenon since the gallant centur.